If you are a pancake lover, you may love to hear that pancakes can be great for you. There are many recipes you can make with pancakes that are good for your health. If you want to lose weight or become healthier but you don’t want to give up pancakes, there are solutions for this. Yes, usually it is a recommendation that you stay away from simple carbs and foods that have a lot of sugar in them. Since pancakes are generally a simple carb that means you must eliminate them, right? Absolutely not. 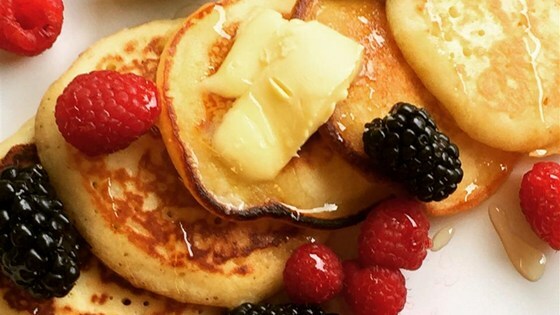 If you crave a pancake, there are healthier ways to make them. You just need to make sure you are using healthier fat sources, fiber flour and more protein to make them. 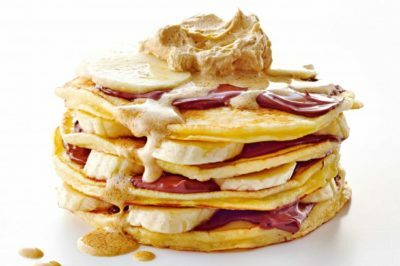 If you want to keep eating pancakes while you get healthier, you can start with an interesting but tasty recipe. To make this pancake recipe, you will need to mix vanilla, eggs, cottage cheese and oatmeal. This means you get the fiber in the oats and the protein in the eggs and cottage cheese. You will feel full longer than you would when eating regular pancakes and this is a healthier alternative than regular pancakes too. This may seem like an odd recipe to make pancakes but it tastes amazing. Additionally, the nutritional value of these pancakes is absolutely amazing. These will be custard-like, soft pancakes and they are much healthier than the normal pancakes. If you would like to add in cinnamon or even vanilla, you can have more taste to these pancakes too. Another way for you to continue eating pancakes while going on a diet or living more nutritiously is to make avocado pancakes. Avocado gives you magnesium, Vitamin C, Vitamin B6, potassium, fiber and healthy fats. You won’t have lower calories but the nutrients in this type of pancake will be stabilizing for the glucose that goes into your blood. You can also add cinnamon, water, baking powder or eggs to these pancakes too. You can boost your fiber intake with pancakes when you use whole-wheat mix. You would do part whole-wheat flour and part white flour. This will make fluffier pancakes. You can alternate the portions of whole-wheat flour to get the texture you like. Yum yum, especially if you are a fan of pumpkins. Pumpkin is full of beta-carotene and that reduces your risk of heart disease as well as cancer. Can you imagine pancakes that reduce your risk of these things? It is amazing and you can get that with pumpkin flavored pancakes. With these pancakes, you also increase your intake of potassium, fiber and Vitamin A too. There are many pumpkin recipes you can get online. Another excellent recipe you can make is almond meal pancakes. These are where you use almond meal or even almond flour instead of the white flour. The almond flour and almond meal are full of potassium, magnesium, Vitamin E, fiber, healthy fats and protein. 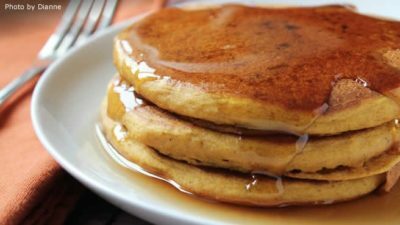 When you eat these pancakes, your insulin will be lowered but you will still feel full for longer because of the high fiber and protein intake. The best way to make these pancakes is using a pinch salt, maple syrup, water, eggs and almond flour. You can top your pancakes with things as well. No, you can’t use the normal sugary syrup you usually eat but there are still tasty topping options for you. You can use some pure maple syrup. You can also top your pancakes with fruit, plain yogurt, Nutella or fruit jam. You can still eat pancakes. The great news is that you can try a ton of different healthy recipes for pancakes so you aren’t sticking with the same type over and over again. Try out a few new recipes and freeze them so you can pull them out for a snack, breakfast, lunch or dinner. Pancakes can be good for you!